Managing inventory in a cost-efficient way helps businesses optimize profits. Increased costs, missed sales opportunities along with frustrated customers are some of the challenges with its oversight. Advertising companies across the world manage several online and physical inventories. However, many of them struggle to ensure optimal utilization of inventory while improving profitability. An Asia based digital advertising enterprise wanted to achieve optimal use of its inventory located in China, India, Singapore, Indonesia, Vietnam, Thailand, Japan & Australia, and to increase its profitability. They were using an inventory booking solution to pre-book the digital inventories based on the advertising requirement but were unable to leverage the locations which received less booking, leading to revenue loss. Rishabh Software was selected as the preferred Big Data Solution provider to improve inventory utilization by processing millions of data in real-time through its Big data services. Rishabh Software’s big data team analyzed the current system architecture and created a proof of concept to solve the inventory utilization challenge. The approach used was divided into various segments to simplify the data for further processing. The current advertising booking engine was built on Open Source technology, and it generated unstructured data. 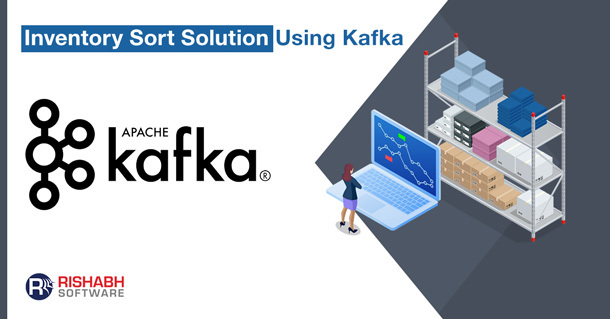 To process the data, we leveraged JSON and Kafka to handle data with high volume. Moreover, the overall infrastructure required was supported by Amazon EC2 by implementing master-slave architecture for managing various instances. We also architected the solution to develop data lakes and implement offset id for partitioning. To meet the customer’s requirement of utilizing inventory in real-time, a team of 10+ big data engineers was involved in to develop an algorithm, implement infrastructure, coding, testing and deployment.